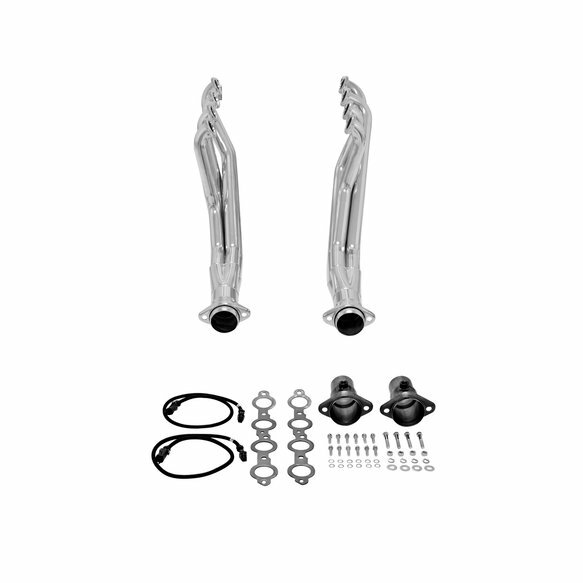 Fits custom models from 1964 to 1972 including Chevrolet Chevelle and wagon, Buick Gran Sport, Skylark and wagon, Pontiac GTO and LeMans, Oldsmobile Cutlass and 442 with an LS1 or LS6 small block engine. 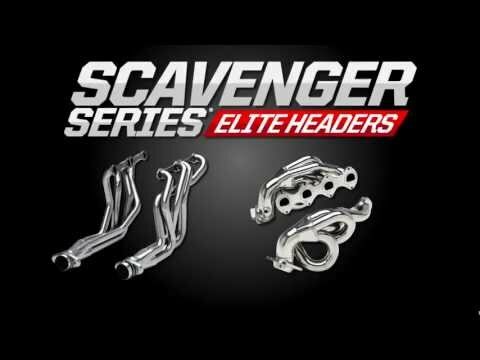 Flowmaster's Scavenger Series Elite headers feature heavy duty 3/8 in. 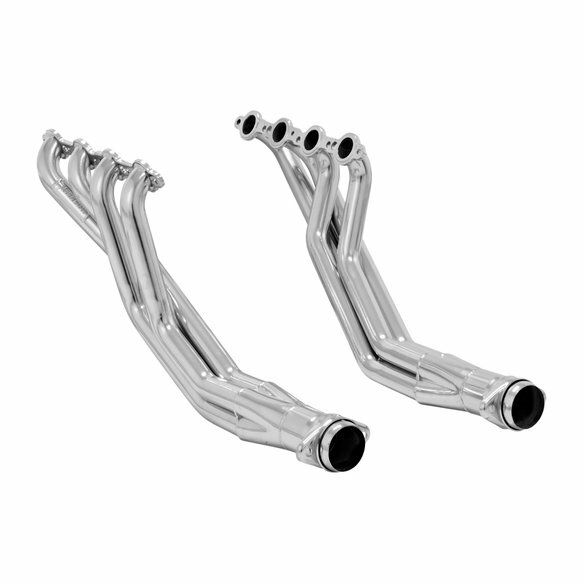 laser cut flanges, 16 gauge stainless steel primary pipes and gasket free ball flange exhaust connectors. 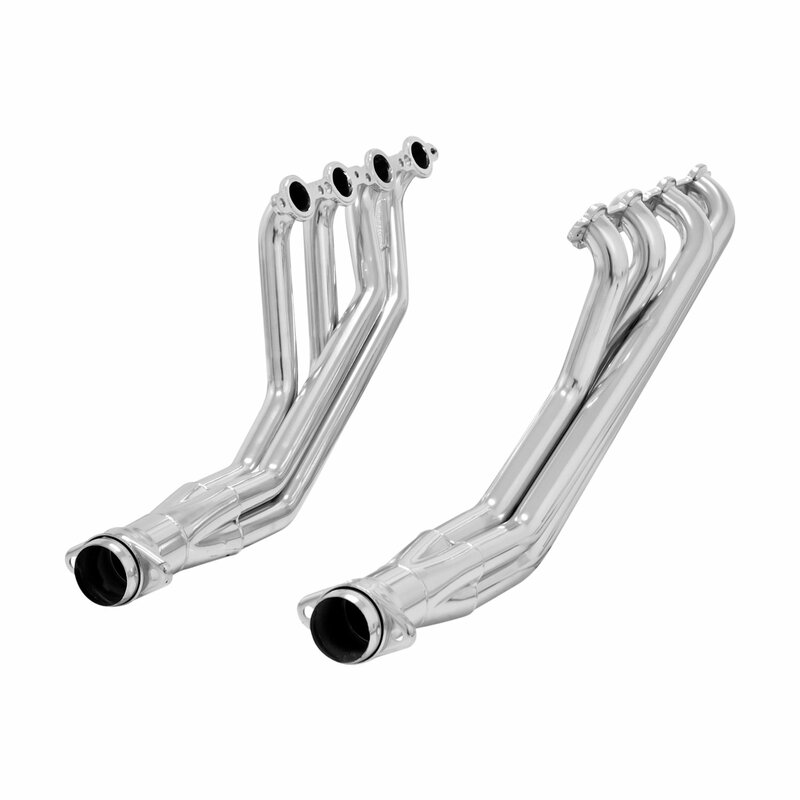 Designed to compliment installations of modern GM LS-1 and LS-6 engines into popular Buick, Chevy, Oldsmobile and Pontiac muscle cars, these full length headers provide an exact fit and increased performance. Please note these headers are not emissions legal and are designed for off-road use only.